Having looked at the bait delivery devices currently available on the market our product design team at Fox believed that there was still room for further development for a product that could perform in a different way. Following an extensive three year research and development programme plus countless hours of field testing the Fox Impact Spod was born. 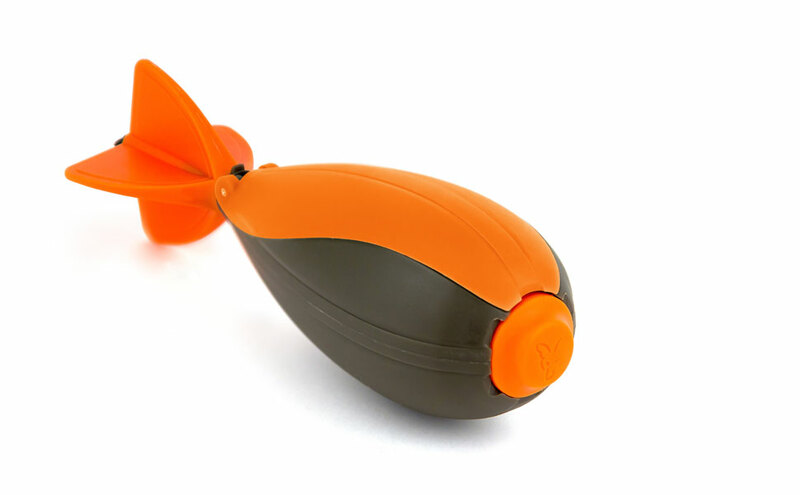 Sold under license from Spomb® Fishing Limited, the Impact Spod boasts a number of unique features that sets it apart from any other bait delivery device currently on the market. Features such as a unique ‘scoop’ body shape, allow for rapid, single handed loading. This unique body and lid design not only enables you to fill the device very quickly, it also allows for highly efficient loading, resulting in a ‘one scoop’ operation that fills the entire inner compartment! This ‘complete fill’ enables you to put your bait out as quickly as possible, and additionally allows for an even weight distribution, which in turn makes it very stable in flight. Another benefit of the scoop design, in addition to the easy loading, is that it enables a tapered bait release should you wish to create a wider spread of free offerings, as opposed to tightly grouped patches, this is feature can be particularly handy when fishing a boilie-only approach or ‘big hit’ fishing with multiple rods on one large baited area.